The pillows were so soft & comfortable. 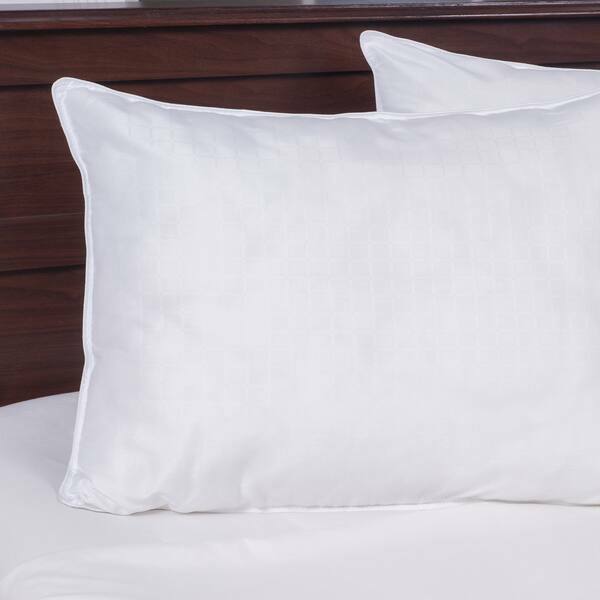 Luxurious and hypo-allergenic, the down Alternative pillow will give you a comfortable nights sleep. The micro fiber cover is soft to the touch and the fiber fill works just like real down, keeping you comfortable through every season. If you want a fluffy pillow a firm pillow, a full pillow, THIS IS NOT FOR YOU. I bought 8 of these, I am not happy and I wont buy these again. In total, all 8 may add up to 2 pillows in height, comfort and stability. I wanted two big pillows to use as shams as the base of my pillows. Medium is too soft and they're really flat. They feel like foam. They are nothing like a down pillow. Don't waste your money. Great pillows for filling those extra pillow cases that come in quilt sets as large throws. Pillow is very comfortable. I got the pair to use when I want to sit up in bed and read (chronic illness) and they work very will. I still prefer real down for sleeping. Pillow size is perfect, but the pillows are a bit softer than I imagined. I am hoping that they keep their fluff. The pillows fit our Cal-King bed mattresses but unfortunately, these pillows are NOT soft at all. I can't even sleep on mine anymore because I woke up every morning with a neck pain. This pillow is very thin/flat which is perfect for me because I love a flat pillow and got exactly what I wanted. These pillows are so soft and you will love them. I bought these on sale and have had many compliments on them. So stock up, they won't go bad. These pillows feel and look awesome on my new bed. I love this website. I order alot if stuff and im never disappointed. New pillows for two bedrooms. My hubby is looking for a very specific, thin king pillow to replace the one that is literally falling apart.